Alaska’s most unique and strategically located, fly-in only wilderness, wildlife, fishing, birding and photography lodge. Our Lodge is located in the heart of the Katmai wilderness where guests have the opportunity to experience the authentic, unsurpassed wilds of Alaska, in a private and comfortable setting. 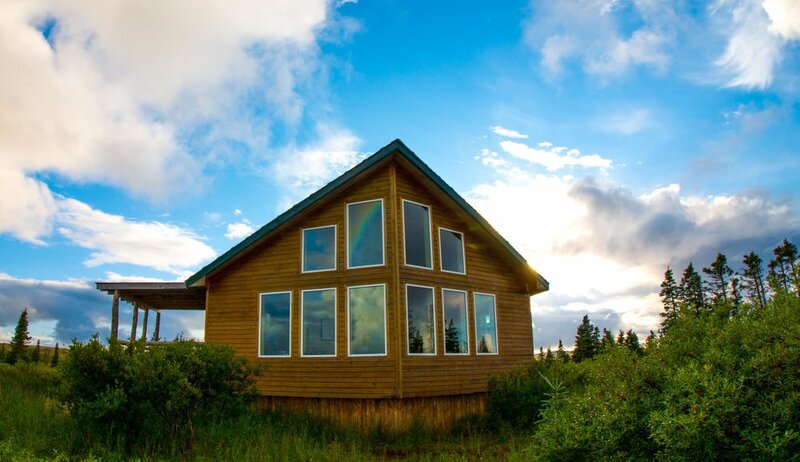 Big Ku hosts only 6 guests at a time making it perfect for small groups or families seeking an intimate, remote Alaskan destination vacation. 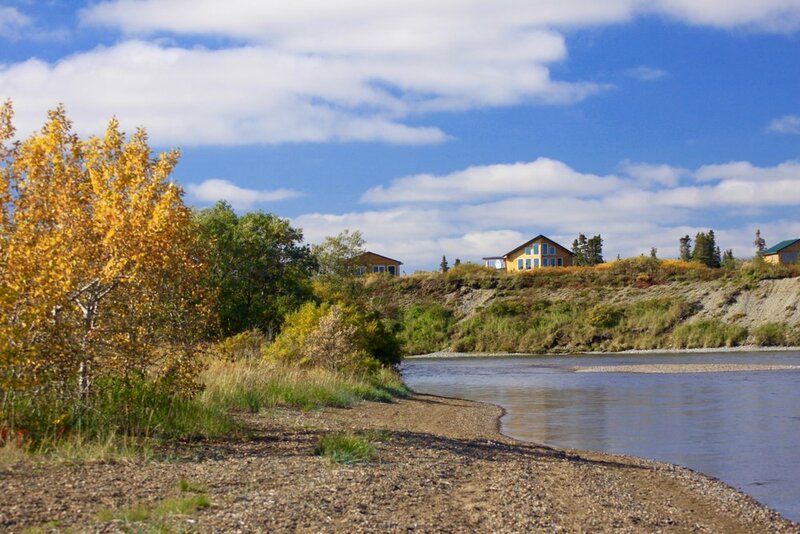 Perched on a bluff, overlooking the 14-mile long Kukaklek Lake, Big Ku Lodge is surrounded by rolling hills of alpine tundra, snow capped mountains, Kukaklek Lake and the Alagnak River. This expansive location offers great fishing, hiking and wildlife viewing in every direction. The only trails are made by bears. There are no crowds, no platforms, no fences, no busses, no cars. Only quality opportunities to experience various species and their struggle for survival. Big Ku is located on private land. 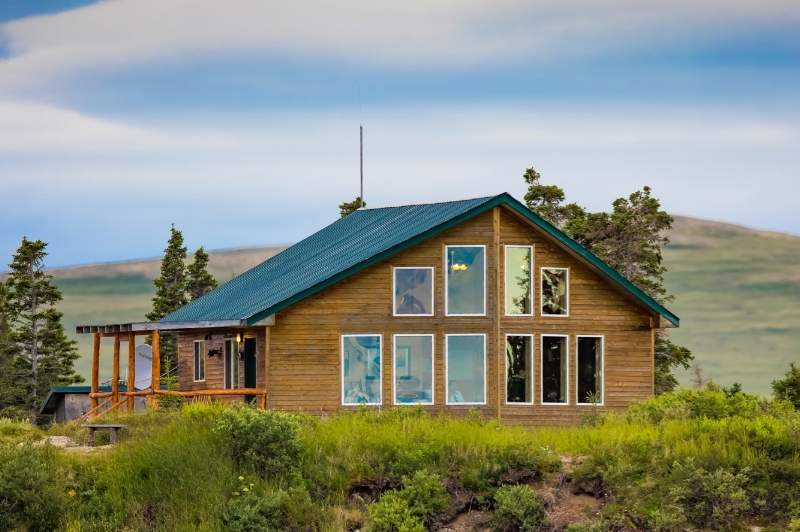 Chris and Linda Branham have exclusive use of over 10,000 acres along the lakeshore and river, all within the boundaries of Katmai National Park. Big Ku is the only operation on Kukaklek Lake with the ability to access the numerous salmon streams flowing into the lake by jet boat. Big Ku Lodge is managed and maintained by a full time live in, on-site staff of five, who are available 24-7. Your hosts will ensure a clean and comfortable stay while providing delicious house made meals. Your guides will accompany you on all outdoor adventures, ensuring your safety and providing detailed knowledge of the area and activities available. Guest cabins are double occupancy, each have full, private bathrooms, heat, linens, and generator powered electricity. The cabins overlook the river and lake, with a background of snow-capped mountains. Wildlife frequents the area, typically right outside your windows. Meals here are delicious, hearty, and prepared fresh daily by your hosts. Hot and cold breakfasts will be waiting for you each morning; lunches will normally be taken in the field; and dinners are served family style with the whole group. Coffee, tea, soft drinks, water, and a glass of beer or wine are available as desired. We happily accommodate dietary preferences and restrictions. Communication is limited due to the extremely remote nature of the lodge, and communication is accomplished via radio phone with sister operation, Royal Wolf Lodge. There is limited WiFi available via satellite, so guests must realize there is no surfing, photo upload/downloads, or fast messages. Guests who absolutely must have phone contact with the outside world during their stay at the lodge should consider renting a portable satellite phone that is capable of working in the far northern regions. Big Ku is powered by a diesel generator, which runs from 6:30am until 10pm, with a break in between when guests are out in the field. There are outlets in each room and the main lodge for your charging needs, during generator hours. Guests are strongly encouraged to ‘power down’ or ‘unplug’ while visiting to enable maximum exposure to the rich environment and powerful solitude in which Big Ku is located. Considering there is very minimal internet available, most find that ‘unplugging’ allows authentic levels of relaxation.